One of Wanita's earliest memories was of a prized box of watercolors. She was heartbroken when her younger siblings played with the colors and got them "dirty.” With such a passion for color at such an early age, art was destined to be an integral part of her life. When she was 12, her mother enrolled her in art classes and she was off on a life-long journey of creativity. Wanita branched out to several art forms…lapidary art, jewelry making, oil and watercolor painting. 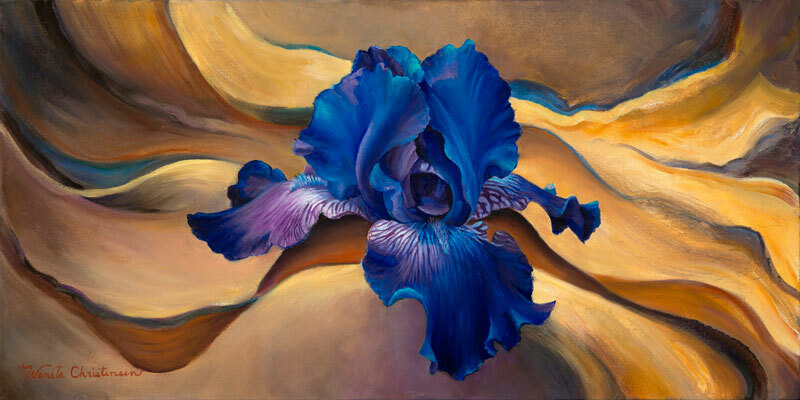 Eventually, the lure of the brush and a palette of fresh oil paint triumphed over them all, and has resulted in exquisitely executed oil paintings of garden iris and the plants and flowers of the Sonoran desert. 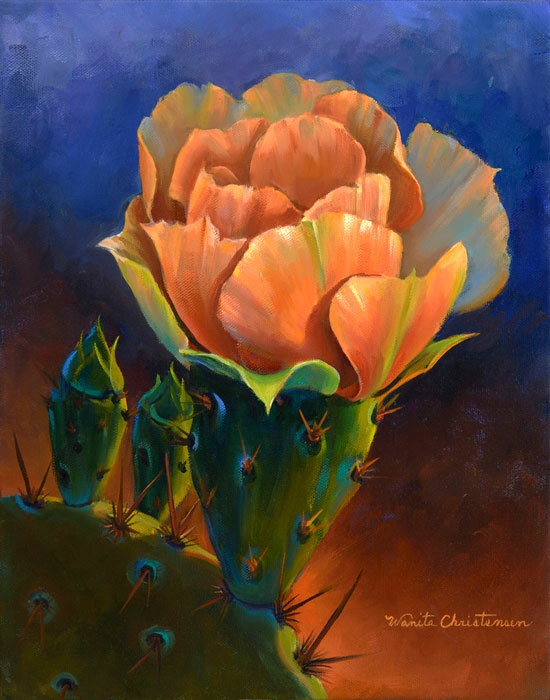 Creating her art in oils gives her the greatest amount of artistic freedom of design and color. 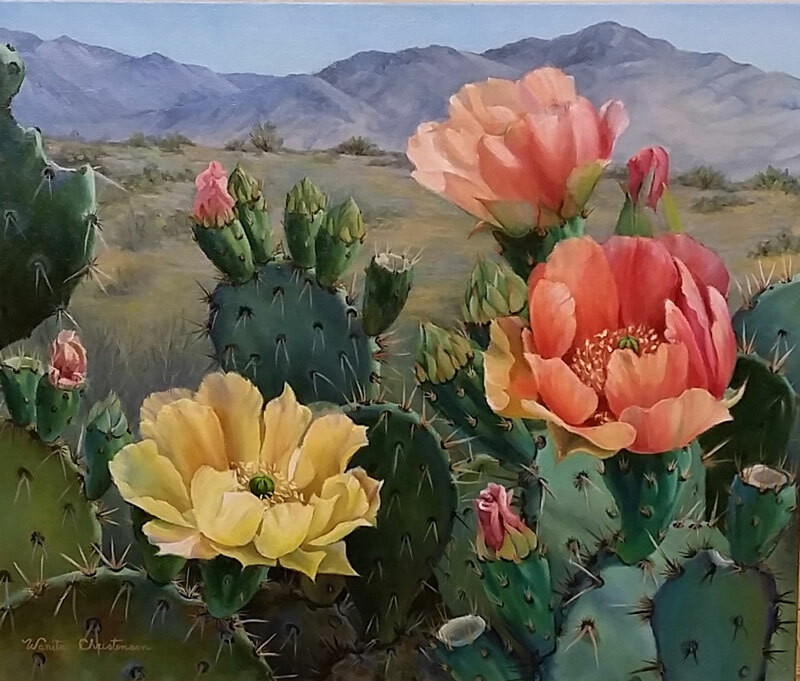 Viewing one of Wanita’s large paintings will take your breath away…her work is realistic, colorful and features a dramatic view of her subjects. 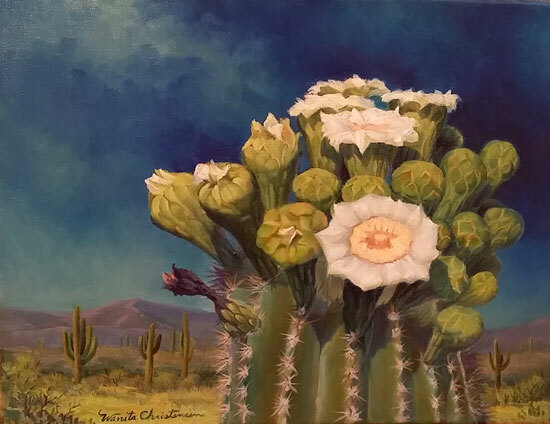 She has had a lifelong fascination with the sparse, yet beautiful, vegetation of the Sonoran Desert--interpreting this desert expanse from the giant Saguaros in bloom to the beauty of the sunrise over the mountains. 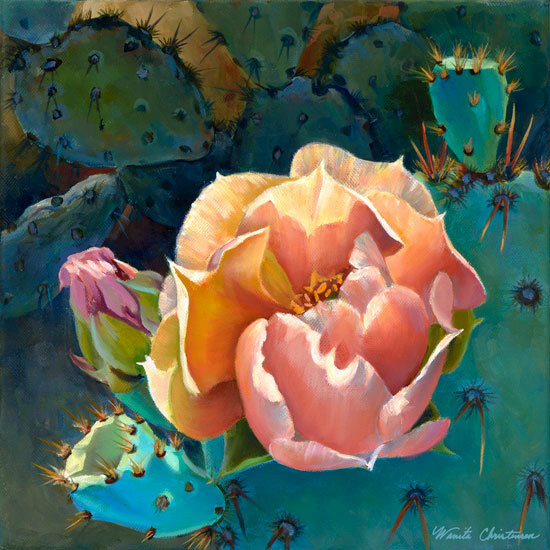 She is able to capture this delicate beauty through careful study and intimate knowledge of the area. 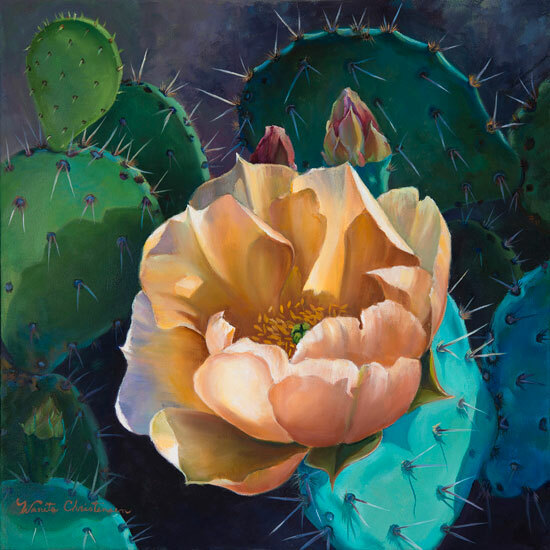 Even a common cactus out in the desert can be a thing of luminous beauty manifested by the abstraction of color, light and shadow. She attempts to make the viewer aware of the beauty that can be encountered in the everyday world if one took the time to look. Although her career as an artist has taken a backseat at various times during her life, Wanita has always had a painting on the easel ready to work on, even when helping to run a family business. 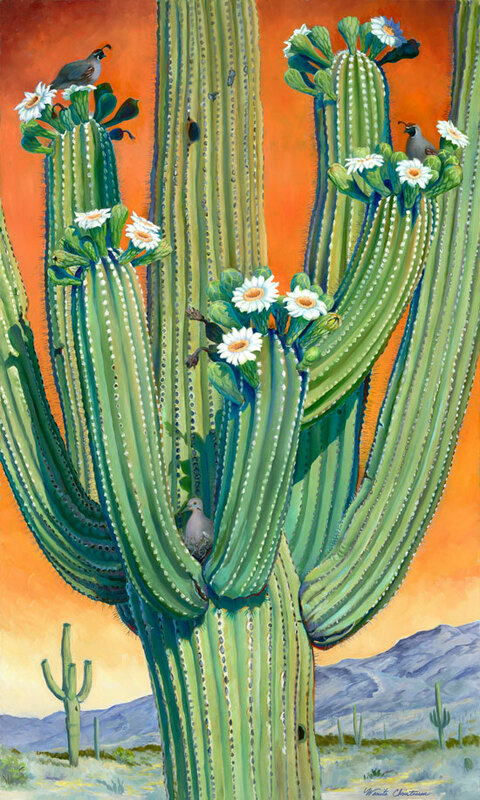 She finds inspiration in nature and careful observation of the changing desert light in the Catalina Mountains. She continues to admire the work of the early 20th century California School artists such as Edgar Payne and William Wendt who took their painting outside ‘en plein air’ and infused their sweeping landscapes with emotion, mood and lighting.